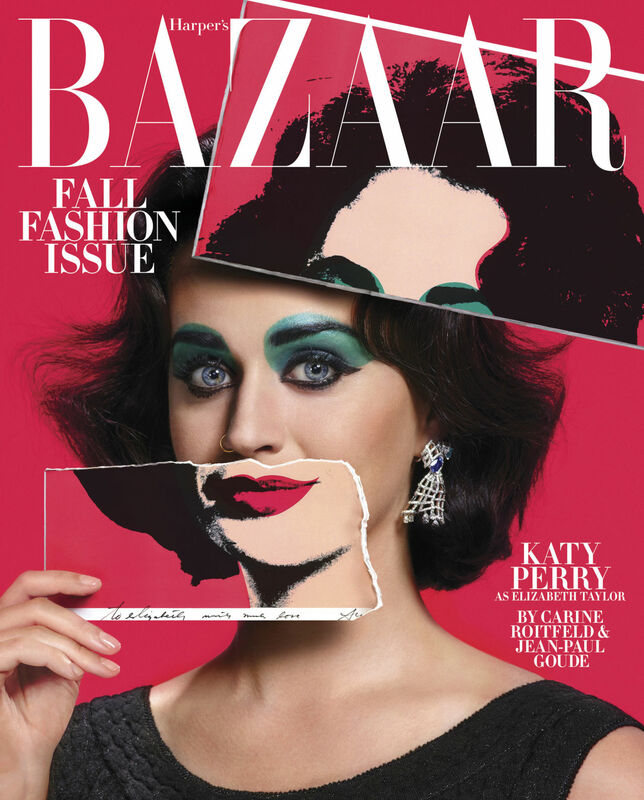 Harper's Bazaar has chosen pop icon Katy Perry to be the face of their September issue in a gorgeous black gown by Saint Laurent. The issue features a bunch of celebrities including Oprah Winfrey, Mariah Carey, Rosie-Huntington-Whitely, Chris Lee, Dakota Johnson, Jessica Chastain, and Lucky Blue. Each of these celebrities, along with Perry were styled by editor Carine Rotfield, conveying their favorite icons, photographed by Jean-Paul Goude. Perry is shot in a look inspired by an Andy Warhol painting of her role model, Elizabeth Taylor. Katy Perry seems to identify herself with Taylor commenting, " An icon transcends time. Liz was so fabulous and decadent and had a style that evolved with the years …and I’m sure I’ll be married just as many times!” The rest of the feature can be seen in the full issue.